I am also an Adsense Publisher and I had also lots of questions regarding this Ad network. Somehow I got answered my questions and that is why I am composing this post which will answer you of your faqs regarding Google Adsense. This article will cover the topics including how AdSense pays you, minimum threshold payment, not receiving pin from google Adsense, forms of payment, low CPC and CTR, changing payee name, adding bank accounts for bank transfer, solving the problem of non-availability of SWIFT code in smaller cities of developing countries which is required for EFT, and many other questions which you should be known. It is a platform designed for website and blog owners and publishers who want to display ads on their blogs and websites and earn money when visitors of site view and click Ads. 2. How much I can earn with Adsense? There is not any perfect answer of this question anywhere on the Internet, even Google also can't answer it. It depends on the number of factors including the niche of your website, daily visitors, engagement of your audience with Advertisements. Earnings also vary on daily basis. If you earned an estimated $0.10 from 25 page views, then your page RPM would equal ($0.10 / 25) * 1000, or $4.00. If you want to increase your earnings then you should read this article on 5 Tips to increase Adsense earnings. 3. How to Improve CPC and CTR? Adsense generally pays higher CPC for Tech, security, health, internet marketing category blogs, so if you are blog comes under these categories then you should turn off Interest based Advertisements from your account. This article will help you to improve CTR in Adsense. Ad placement also matters a lot in CTR, Ads below post title and middle of posts always perform better. To learn more about this type of Ads placement read this article about placing Adsense Ads below post title and middle of post. 4. Can I change payee name later in Adsense to receive my payments in a different account? Yes, you can. To do this go to Settings> Payments> Payment Settings> Add a new form of payment. Some of the countries are still not allowed to this but most countries are allowed this. Countries in which EFT is available to receive payments can change their payee name. 5. How can I set up my bank account? Click the gear icon and select Payments. In the sidebar, click Payment settings. In the "Available forms of payment" section, either click Add new bank account or Add new form of payment. Submit your information and click proceed. Double-check that the bank information is correct and submit it to the system. To learn more follow this link from Google support to Add bank account details in Adsense. 6. I don't have SWIFT code, can I get payment though EFT or not? Yes, you can. Publishers living in the small cities and villages usually don't have SWIFT code because the majority of branches opened in rural areas don't have SWIFT code. Don't worry, you are also facing the same problem then It would be solved today. Specially this type of problem is faced by Indian publishers. So now they can also receive payments from Google Adsense in their bank accounts using their bank account number and IFSC only. See, In Indian Banking System SWIFT Code is used only to perform Foreign currency to Rupee conversion . and hence using any of the Parent branch SWIFT Code ensures the SWIFT Code bank branch being used as a bridge to convert and transfer money to our Local branch which uses the IFSC Code and then to our Accounts located in the IFSC Code branch , thus ensuring proper funds transfer of our hard earned Money through Adsense. First of all visit this link to Find SWIFT codes in India and find out whether your Bank Branch has SWIFT Code or not , if its present simply enter the Obtained Swift Code, else Simply fill in the Nearest Bigger Branch Swift Code of the Same Parent Bank as that of yours, if the SWIFT-Code of your Branch is not available .. e.g if your Account is in SBI , then look for the Swift Code of nearest SBI branch only. 7. I haven't received the AdSense Pin yet. What to do next? If you haven't received your PIN, or if it has been lost, you can request two more PINs. To make sure it has enough time to reach you, you'll need to wait 4 weeks after your last PIN was mailed before requesting a new one. However, in the worst scenario of you not receiving any of the 3 pins sent by Google, there is an additional option to Verify your address using identity card and other official address proof. If you request the pin 3 times but never received any of them, login to your AdSense account and look at the "Account Settings" section. You will see additional instructions from Google asking you to verify the account using through other channels. The additional options include submitting copy of official identity card to Google. 8. What is the minimum threshold for payments in Adsense? If you are a new publisher and don't know about the minimum threshold for payments in Google Adsense, then see, it is 100 USD. 9. What are the different forms of payment in Adsense? Depending on your payment address, you can use any of these methods of payment by Adsense, i.e., Checks, Electronic Funds Transfer (EFT), EFT via Single Euro Payments Area (SEPA), Wire Transfer and Western Union Quick Cash. 10. Can I receive my payment from google Adsense to my PayPal account? No, you can't get your earnings in your Paypal account. AdSense built its own payments system from the ground up - before Wallet had really been developed. The AdSense product needed a system that could handle things involved with paying out money to partners (as opposed to transferring money between agents in a transaction) so the use-cases were slightly different than Wallet: it requires tax calculations and witholdings, issuing W2s in the USA (and the corresponding forms in *every single other jurisdiction* that AdSense operates in), issuing payments through a number of different payment modalities in different countries (ranging from ACH transfer to western union to paper checks), it has to interface with Google's central treasury, and reconcile payments with earnings... basically a whole bunch of stuff that no off-the-shelf product would be able to do. Also, building an in-house system from scratch is just the Googley way of doing things (seriously)! 11. Why my application was disapproved? What do I do now? If your application has not been approved, please refer first to the application status message that we have sent you - it contains more details on why your application was disapproved. Then start working on to correct the errors and resubmit your application. If you would be disabled again then I would highly recommend you to read these tips to get approved for Adsense account. 12. Can I use same Adsense account for multiple websites? Once you get approved, you can use the same AdSense account on unlimited domains. You can also use that account for your youtube monetization earnings and other Google Adsense products. If you are not aware of youtube earnings then you should read this article to know more about Youtube Monetization. 13. Does Google Adsense pay for only pageviews or impressions? By default CPC (cost per click) ads will be displayed. Your site will only receive CPM (cost per thousand impression) ads if an advertiser has targeted your site. 14. My site is under a particular niche but Adsense still shows irrelevant Ads, why? Because by default settings it allow Adsense to show interest-based and targeted Advertisements both on your site. If you are sure and want to show only the relevant Ads then you should Turn off Interest-based Ads from your Adsense account. Tutorial link of deactivating interest-based Ads is already shared in 3rd Faq, you can follow that. 15. Why does my earning decrease after the month? Generally, AdSense takes couple of weeks of the next month to finalize your earnings and display the result in your account. The reason for the decrease in your earnings are invalid clicks and impressions. If you violate the AdSense policy too often, you might even get banned from the network and lose the whole outstanding payments. 16. Why aren't Adsense ads showing up on the page? Make sure that the ad code is correctly implemented in your site. You can check it by viewing the source of your site from a browser and double-checking that the ad code looks exactly like the code given by Adsense at the time of implementing the code. 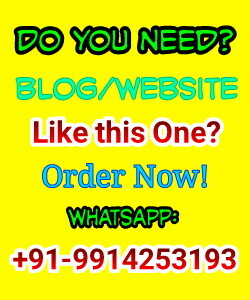 Also make sure that the page must following the guidelines and policies of Adsense. 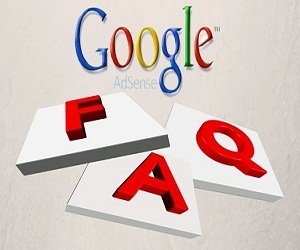 These are some frequently asked questions with answers by Adsense publishers. If you have still any question even after reading all above given FAQs you can ask us and we will try to answer and provide solution as soon as possible. Message: I hope that you have enjoyed 'Adsense Publishers - Frequently Asked Questions [FAQs]' article. However, if you want me to deliver more items, then please share my post. You can use Social Sharing Widget provided at the end of every post. After all, Sharing is Caring!